Send money anytime with e-Transfers! Please note that the Service Charge of $1.00 for sending an Interac e-Transfer is not displaying on the ‘Send Interac e-Transfer – Confirm’ screen nor on the ‘Send Interac e-Transfer – Receipt’ screen. Please be advised that when you send an Interac e-Transfer, the $1.00 Service Charge will be posted to your bank account once you have pressed the ‘Confirm’ button. This issue will be resolved in May and we apologize for any inconvenience this may cause. 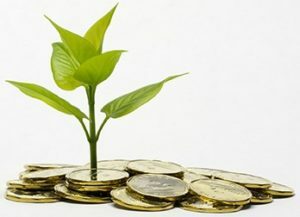 Grow your money with us! Check out our term deposit interest rates! For information about e-Transfers including instructions on how to send and receive e-Transfers click HERE. Dundalk Credit Union now offers low down payment residential mortgages in an effort to make your home ownership dream a reality. 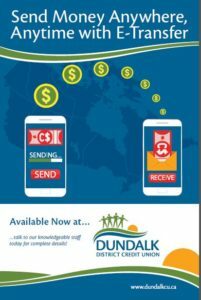 In the past year a partnership was developed with Genworth Canada to enable Dundalk Credit Union to offer insured high ratio mortgages to home buyers. In Canada, mortgage insurance is required on mortgages with a down payment of 20 per cent or less. This insurance protects the credit union in case of borrower default. Mortgage Insurance can help you achieve the dream of home ownership sooner by allowing you to purchase a home with a small down payment, and still benefit from the competitive interest rates that buyers, who have more savings to use as a down payment on a home, enjoy. Mortgage insurance premiums are based on the amount of the mortgage. Our mortgage lenders will be happy to answer your questions and help you get a mortgage that works for you. Payments can also be made via online banking. Anyone who is interested in purchasing a box of fresh fruits and vegetables value priced at $20.00 can place their order at the Dundalk Credit Union in advance. Good Food Boxes are available once a month to be picked up on the 4th Thursday of each month at the McIntyre Building, 20 Owen Sound Street, Dundalk between the hours of 9-10:30 a.m. For more information contact Gayle Milliner 519-923-5974 or Dorothy Frankland 519-923-9188. The program runs from September to June.